Two promotion spots in 2015! FA announce that two WSL2 teams will be promoted next season. Teams in FA Women’s Super League (WSL) 2 will have double the chance of promotion in 2015. For the first time two teams will be promoted into FA WSL 1, for the 2016 season. Only one team will be relegated into FA WSL 2, which means that in 2016 there will be nine teams in the top division. The increase is part of a two-year plan to move FA WSL 1 from an eight to 10-team league. There will continue to be ten teams in FA WSL 2 as a team from the FA Women’s Premier League will be promoted into the league for both the 2014/15 and 2015/16 seasons. 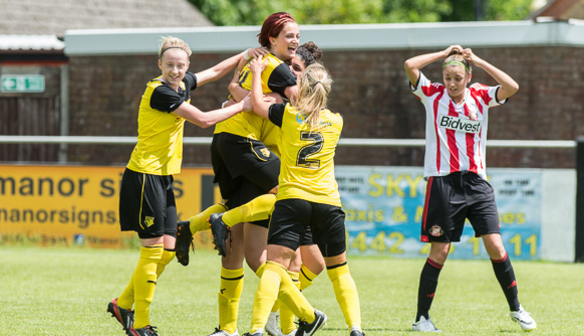 Last season’s FA WSL 2 champions Sunderland have secured their place in the FA WSL 1 for 2015 after meeting off-field licencing requirements. The FA WSL is the elite women’s domestic football league in England. 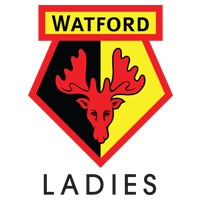 It was launched in 2011 and a second division, plus promotion and relegation, was introduced in 2014. Liverpool Ladies are the current FA WSL 1 champions with their Merseyside neighbours Everton becoming the first team to be relegated into the second tier. “This year has arguably been the most competitive FA WSL season to date and promotion and relegation has certainly played a big part in that. Increasing the number of promotion spots not only opens up more opportunity for clubs but will also help to drive the standard of FA WSL 2 which can only benefit the women’s game. The 2015 FA WSL season will begin in March with fixtures to be announced in the New Year.